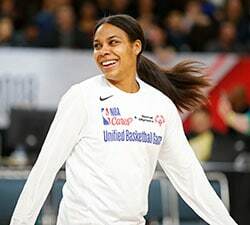 Leslie Robinson, the niece of former President of the United States Barack Obama, was selected with the 34th overall pick by the New York Liberty in WNBA Draft 2018 on Thursday. 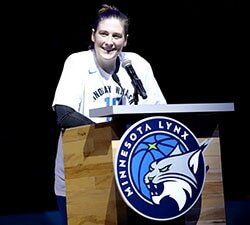 The soon-to-be Princeton graduate joins Allison Feaster (Harvard – 5th overall, 1998) as the second Ivy League player to have been selected in the WNBA Draft. Leslie’s father, Craig Robinson, is the Vice President of Player Development & NBA G League Operations for the New York Knicks and the brother of former First Lady Michelle Obama. The former president has watched Princeton play in-person to support his niece. To cap off a stellar career at Princeton, Robinson completed her senior season averaging 10.2 points, seven rebounds, 4.3 assists and 1.5 steals per game. She ranks sixth in program history for assists in a single season (129), while her 112 career games is tied for 10th. Robinson also notched the program’s first triple-double against Brown on March 2, recording 10 points, 15 boards and 10 assists. Robinson is seeking to be the second Princeton product to play in the WNBA. 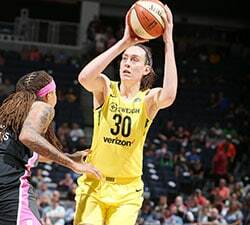 Blake Dietrick, who graduated from Princeton in 2015, earned minutes with the Seattle Storm in 2016. 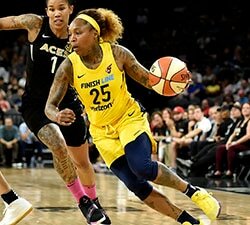 Dietrick is currently on the Atlanta Dream training camp roster.